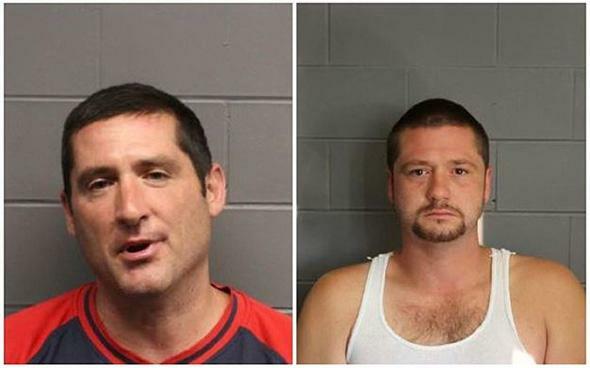 Trump fans who beat up Mexican immigrant apparently lived illegally in public housing. Scott Leader and Steve Leader. Photos courtesy Suffolk County District Attorney’s Office. After their arrest, the Leader brothers told State Police that they lived in public housing, but records show that only their mother is listed as a resident. Housing officials said she now faces eviction proceedings. The Boston Housing Authority requires lease holders to list all residents and to pay their fair share of the rent, because public housing is for needy families whose average income is $14,000 a year. Some 36,000 people are on the waiting list for housing. Police records say Scott is a mason and Steve, 30, is a carpenter. “Based on the police report and other information, there’s reason to believe that the Leader brothers were living at the Mary Ellen McCormack development illegally,” Lydia Agro, the housing authority chief of staff, said Friday. Prosecutors have charged the brothers with multiple counts of assault, hate crimes, indecent exposure and making threats after they woke up a homeless man, punched him and urinated on his face. One of the brothers allegedly told police it was OK to do what they did because “Donald Trump was right, all these illegals need to be deported.” The victim, a 58-year-old Mexican immigrant, has apparently lived in the United States since the 1980s and is recovering from his injuries.